I am one of those people who needs/wants bread in any form with my dinner. Call me crazy, but breads/muffins/breadsticks, etc. just make any meal even better. 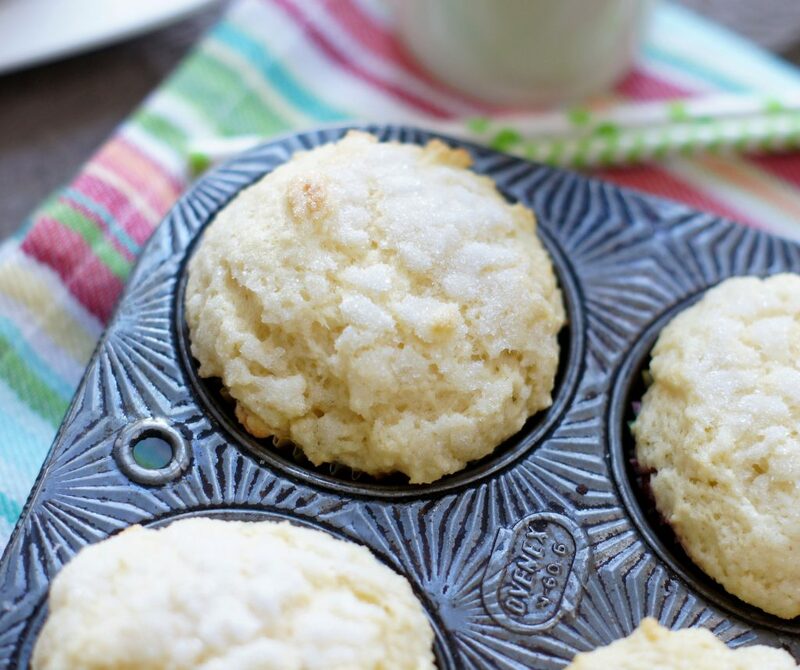 While these Jelly Muffins may not look like anything spectacular, they have been a long-time favorite of ours. I jotted down the recipe one day while watching the noon news probably over 15 years ago. So yeah, I’ve been making them for sometime now. 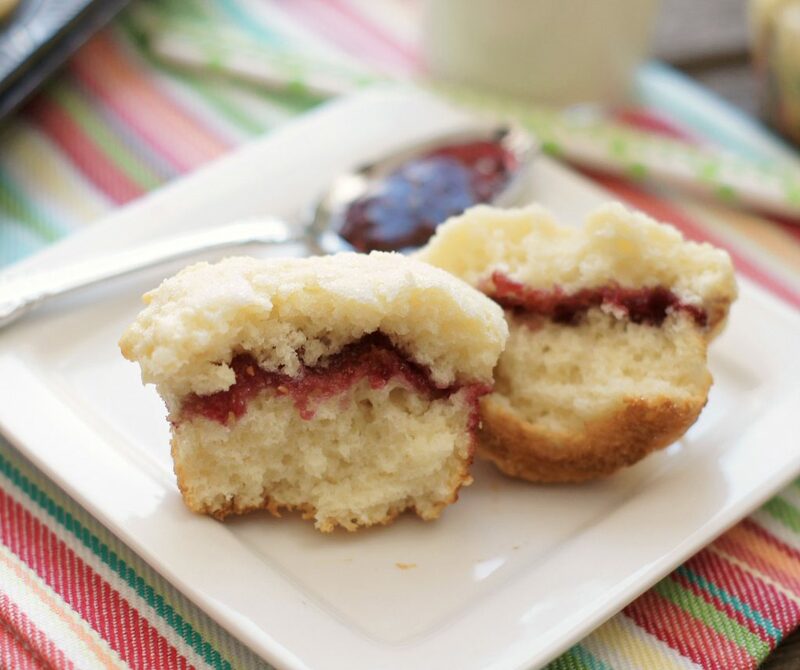 These Jelly Muffins are simple to whip up and come together in no time. Any flavor jam works, but our favorites happen to be raspberry or grape. I highly recommend using store bought jelly/jams because you want a thicker jam for these. I’ve tried these using my homemade freezer raspberry jam, and while they are still good, they just cook up better with a thicker, store bought jam. Light, tender, moist and not too sweet, these go great with any meal or are perfect on their own with a glass of cold milk. Make sure you don’t skip the sprinkling the extra bit of sugar on top, it makes these even better. Preheat oven to 375 degrees. Line a muffin tin with liners, set aside..
Add flour, sugar, baking powder, and salt together in a bowl and mix well. Set aside. Mix together egg, vanilla, milk, and oil. Add egg mixture all at once to the flour mixture and gently stir just until ingredients are moistened, don't over mix. Batter will be thick and slightly lumpy. Fill each cup 1/3 full with batter. Using a spoon, place a small mound of jam or jelly in the center of each cup on top of the batter. Using the remaining batter, cover the jam or jelly filling the cups to 2/3 full. Sprinkle tops with granulated sugar if desired. Bake for about 20 mins, or until toothpick inserted comes out clean. Don't overbake! 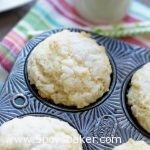 Make sure you don't over mix these muffins, they won't be as tender if you do. It's a fairly thick batter and will still be slightly lumpy when you fill the muffin tins. Any flavor jam is delicious, just make sure you use a thicker jam/jelly. Homemade jams (mostly freezer jams) tend to not be as thick and can ooze out while baking and leave a bit of a messy muffin.